We drove up to North Conway during the holiday weekend two weeks ago. It was our first day trip with E, and we were surprised at how enjoyable the experience was. E was pretty difficult when she was younger so we got used to keeping our outings short or with a purpose, i.e. errands. Now we have this curious little girl with an easy smile who’s able to take part in the things we love. We spent most of the day in Echo Lake State Park. The trail around the lake was easy and short, but with beautiful views of the mountains. There was a picnic/beach area and we sat down for a little bit to rest, soak in some sun, and people watch. I was frustrated that I couldn’t get a decent shot of the scenery. I have to practice with the camera more. The downtown area was alive and busy. We just grabbed a couple of sandwiches and parked next to a field for our late lunch (photo above). 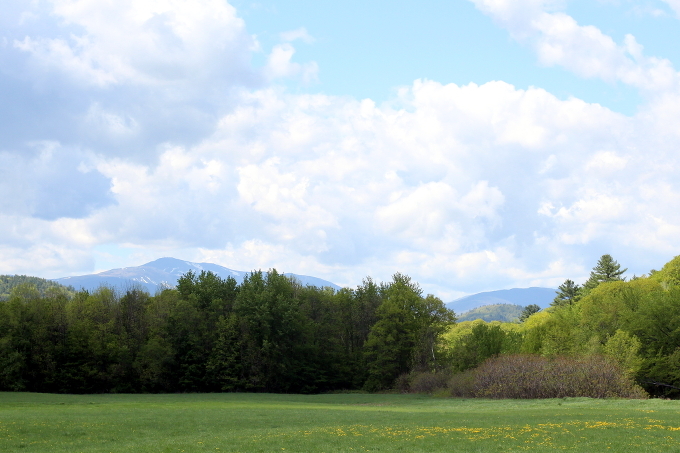 Again, amazing views of the White Mountains that I couldn’t capture with the camera, but enjoyed with my eyes. It would be nice to come back to this place and hike up the mountain ledges. 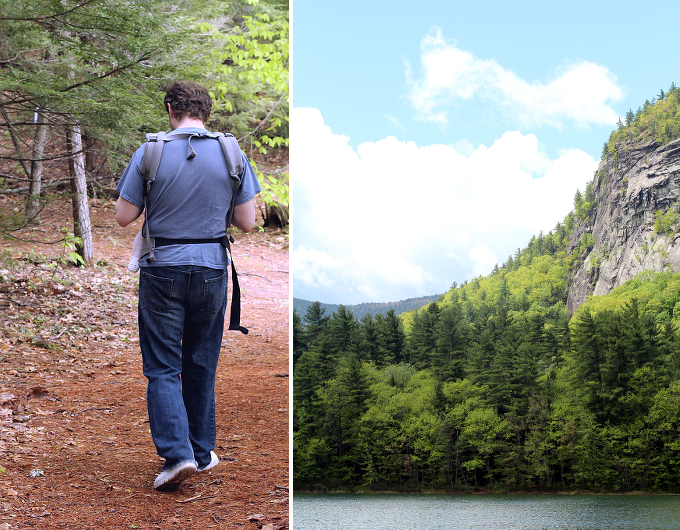 I’m also looking forward to exploring more of New Hampshire. This day was a good start. 1 Comment for "holiday weekend"